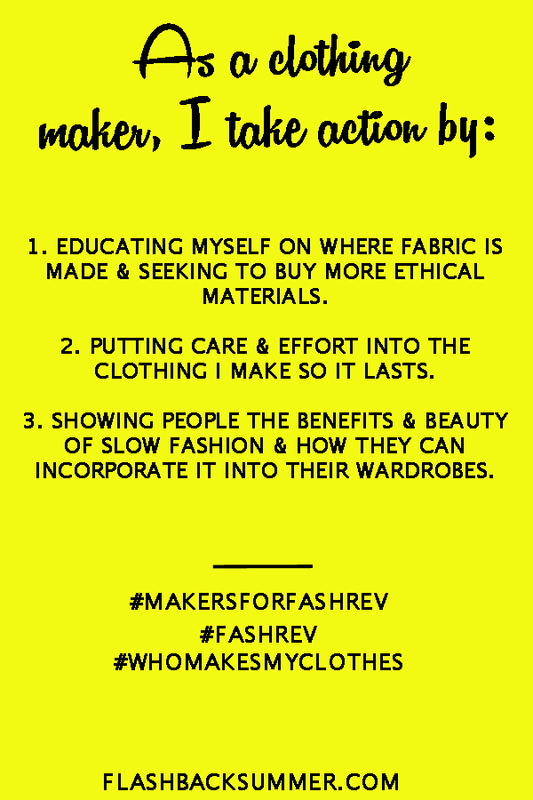 One of my biggest frustrations as I learned more about ethical fashion is that I had no idea wherey fabric came from (and therefore could guess where it came from). I am think the biggest role I take is definitely that of educator: I try to talk to people about the cost of cheap fashion. But I do feel that I could do more! Dude, me too! I realized that as well; I have no idea where my fabric comes from (barring a couple brands), and I don't know many sources to find ethically made fabric. I'm working on fixing that. And that educator role is so important! I've found many of my non-sewing friends have no idea how long it takes to make a clothing item. "Yeah, it would take me, like, 4 hours to make that shirt, and you only paid $4 for it. That's a buck an hour for just labor... People can't survive on that!" I'm just starting to learn about all this but I have noticed that a lot of the fabrics sold by Girl Charlie are made in California. I have bought fabric from them a couple of times. Oooo, that's very good to know! The "Made in America" line by Joann is also made here. I'm still learning about all of this, too, especially about where to source fabrics. 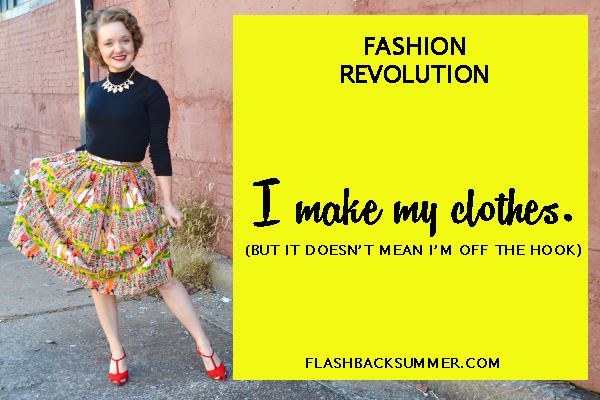 A lot of the fabric I use is preloved, either hand me down stash, opshop, or old garments I'm upcycling. As for the fabric I buy new, I have very little idea! I usually buy from Asian fabric shops, as I find they have a really good range/really good price, and I like supporting small businesses when I can. Though nothing is really labelled with fibre content or price, let alone place of origin. Right?! I still encounter that problem at bigger fabric shops; not all fabrics are marked with a place of origin. And even if they are... I don't know if people there are treated well as they make the fabric. I'm still working on finding this sort of info! 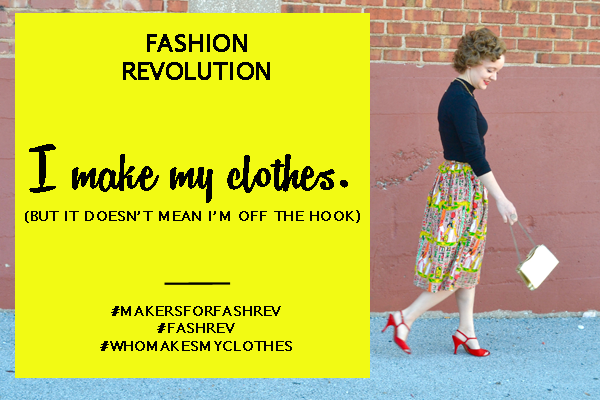 Great article, good to see you taking part in the Fashion Revolution. I really like your action list it's a great quick tip to the post. Thanks, Akram! I'm glad you like that part, too. I always feel weird when I'm moved by something but have no idea what to do about it.